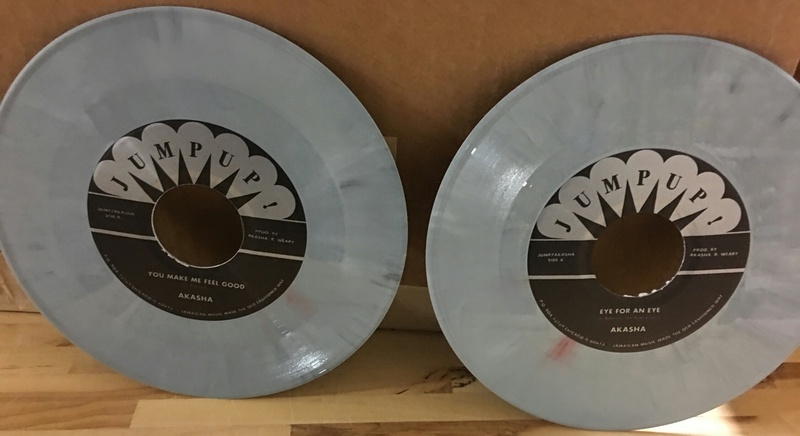 JUMP UP is proud to keep 45rpm 7″ singles alive, with “portablism” (portable turntablism) and DJ culture on the rise we are releasing more vinyl singles than ever before! First up is brand new material from SYMARIP’s MONTY NEYSMITH! We began working with MONTY back in 2014, we teamed him up with THE BISHOPS from Omaha for a live concert at Chicago’s Mayne Stage. The partnership blossomed into a 7″ single early in 2015, then MONTY worked with SOUL RADICS for a second 7″ single later that year. In 2016 he toured around the USA with THE BISHOPS and began recording tracks for an upcoming full length album. 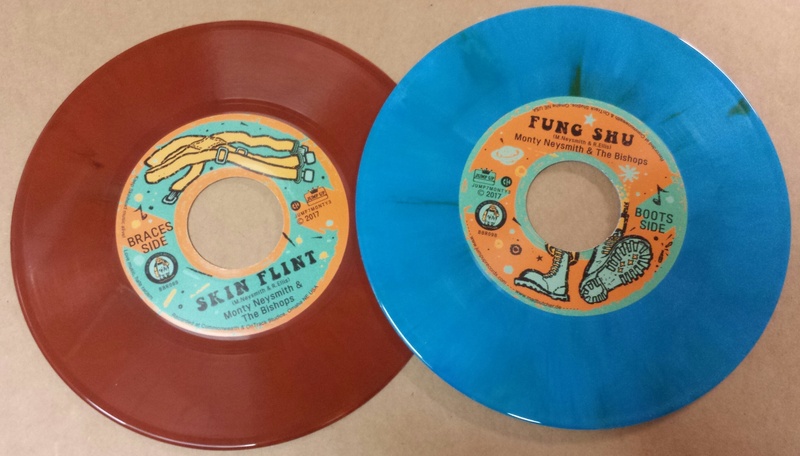 To kick things off right, we are releasing this new 7″ featuring two classic SYMARIP tunes from “SKINHEAD MOONSTOMP” re-done in vintage reggae style: “Skin Flint” is a classic mid-tempo instrumental organ grinder, “Fung Shu” is a funky skinhead reggae vocal cut with hilarious lyrics! Red or Blue vinyl available. Email us your choice otherwise we will send you a red one! Akasha has been keeping the vintage Jamaican vibes alive in Chicago for years, with deep roots reggae grooves and rich vocal harmonies. Stylistically, Akasha sounds like they stepped out of a 1972 session at Studio One. The Akasha sound gives birth to an unmistakable variety of heavy, raw grooves reminiscent of The Skatalites, The Maytals, Desmond Dekker and The Wailers. Their members have backed many Jamaican legends over the years including Dennis Alcapone, Charlie Organaire, Johnny Osbourne, Ranking Joe, Carlton Livingston and on March 18th Niney The Observer. For the latest Specialized Charity album they covered Marley’s “One Cup of Coffee” featuring Charlie Organaire, which we released on a 4 song 7″ vinyl EP alongside The Skatalites, Calypso Joe and Pressure Tennants. They are back with their first solo vinyl outing, two original tunes that are soon to be modern classics: the happy-go-lucky foundation ska number “You Make Me Feel Good” backed with the conscious reggae of “Eye For And Eye” loosely based on the “Declaration of Rights” riddim by The Abyssiians. Classic retro silver inked labels and limited edition marble grey vinyl limited to 250 copies! 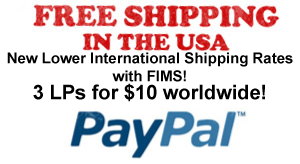 Previous post: New 7″ SIZED TURNTABLE MATS for Portable Players!